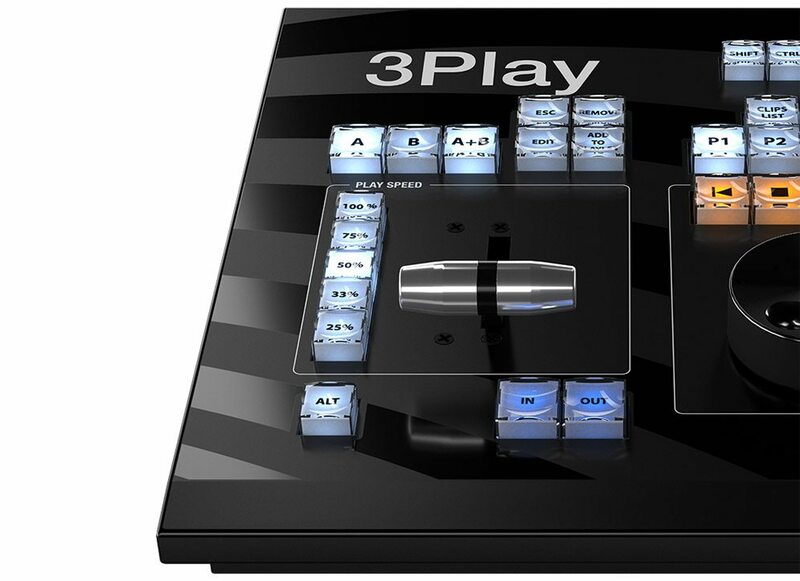 Level the playing field for dramatic live production. With 3Play 425, local producers can deliver high-impact sports and events that grow an audience, while visually branding their shows just like the major leagues and networks. 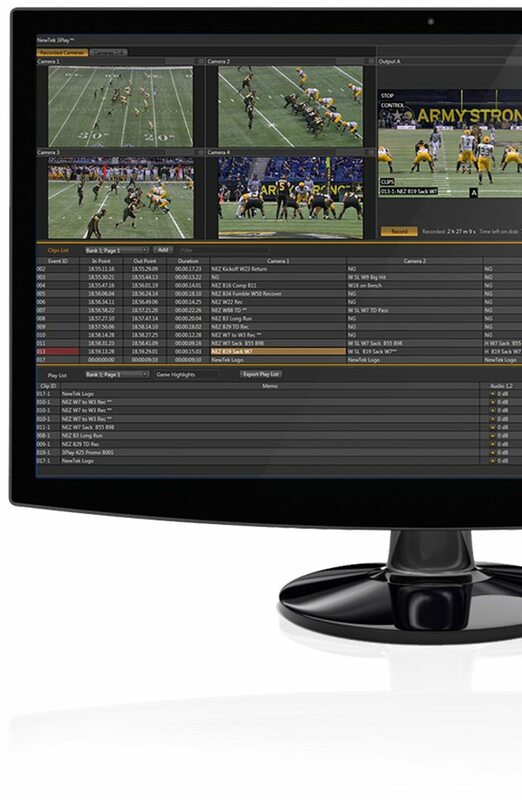 Instant replay, dramatic slow motion, and real-time highlights production are available at your fingertips with this practical, powerfully efficient system. Deliver it all—real-time highlights, slow motion, instant replay, and more—from multiple angles and at a fraction of the cost. 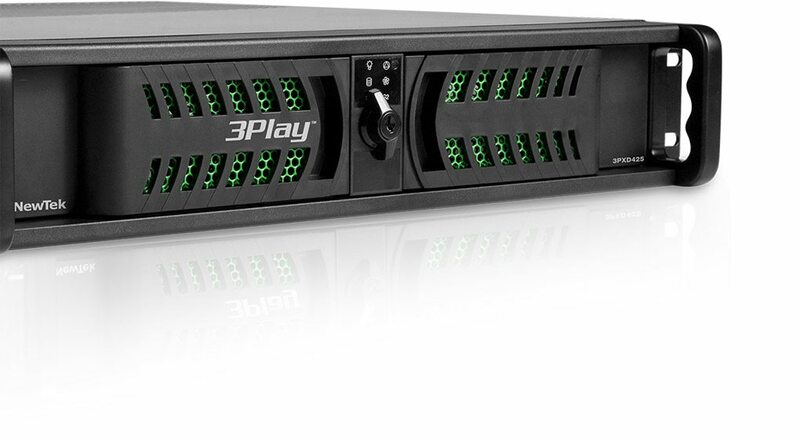 Hitting the six-channel “sweet spot” for sports producers with four cameras in and two fully independent channels out, 3Play 425 gets you the professional, multi-camera replay coverage for which you’ve been aiming. Give fans more of what they want to see: network-style, dramatic plays in smooth, interpolated slow motion. Break down highlights or analyze pivotal moments frame by frame and with incredible detail. Don’t wait to replay the shining moments. Build highlight reels or sponsor blocks at breakneck speed for on-command instant replay to fill timeouts or lead into a break. Take on additional productions sans a time out, with simultaneous ISO recording of up to 4 live sources, plus 40 hours of recording capacity. Repurpose all of your captured footage for additional post-game coverage and review.